Warm broth and keep warm. Over medium heat, melt butter and oil together in a heavy-bottomed pot; toss in onion and sauté until translucent. Stir in garlic and cook for a minute. Add rice and stir until rice is fragrant and coated with the fat. Pour in wine and stir until liquid is absorbed. Add 1 cup of broth, stirring until absorbed. Add tomatoes, stirring again until liquid is absorbed. Follow with another 2 cups of broth, adding 1 cup at a time. Add lemon juice, spices, peppers and salt and pepper. Stir and check rice for doneness. It should be tender but still al dente. If necessary, add another cup of broth. 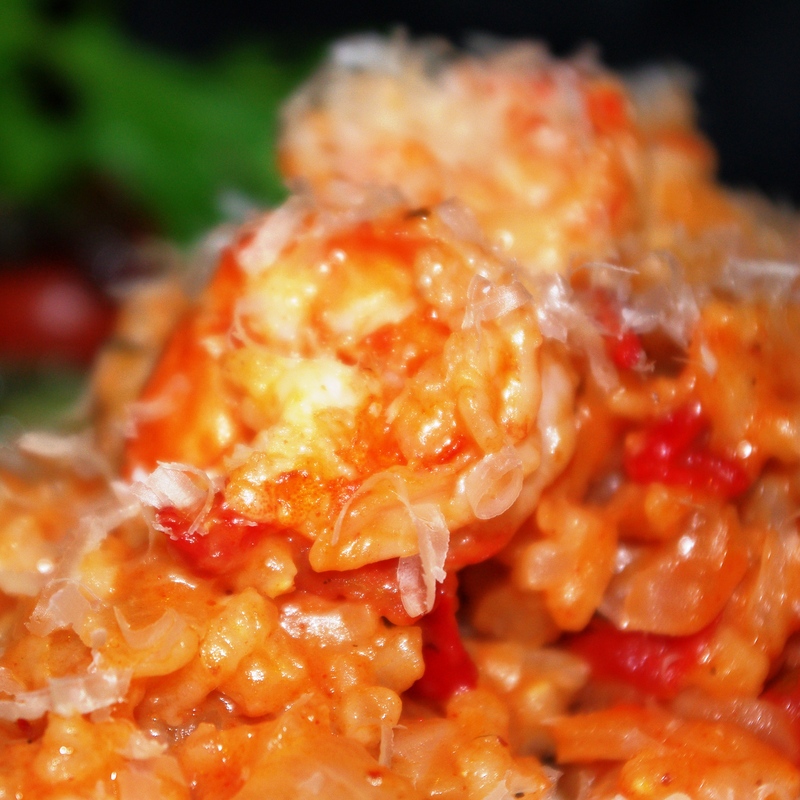 Once rice is nearly done, add shrimp and stir until pink, 2–3 minutes. Stir in 1/2 cup of Parmesan, stirring to incorporate. Serve piping hot with additional Parmesan on top.